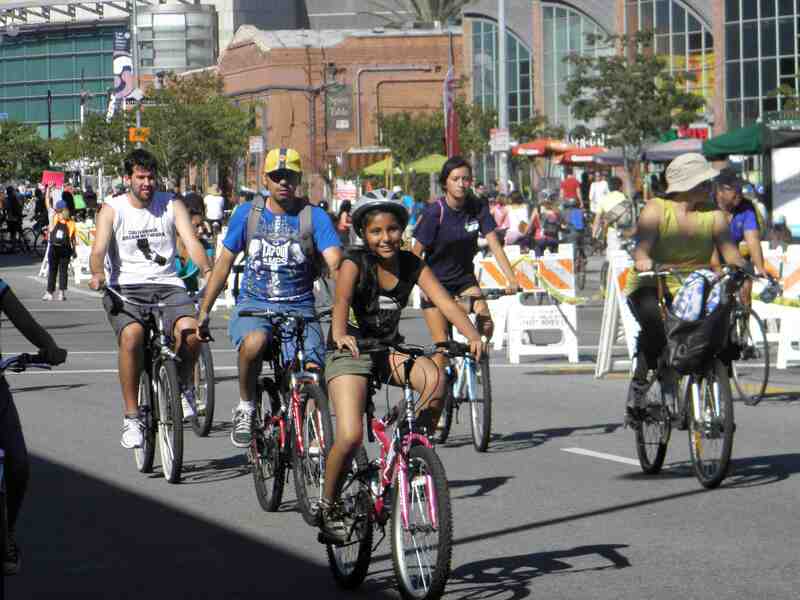 CicLAvia-Heart of L.A., the eighth such event to be held in Los Angeles, is set for Sunday, Oct. 6, from 9 a.m. to 4 p.m.
CicLAvia-Heart of L.A. returns to the streets that started it all as participants explore Downtown Los Angeles. The route follows in the footsteps of the first five events and helps Angelenos rediscover the origins of the City of Angels. Whether you’ve ridden these streets before or are new to CicLAvia, the route promises something new to discover. “Ciclovías bring families outside of their homes to enjoy the streets, our largest public space,” organizer said. “In Los Angeles we need CicLAvia more than ever. Our streets are congested with traffic, our air is polluted with toxic fumes, our children suffer from obesity and other health conditions caused by the scarcity of public space and safe, healthy transportation options. Hubs at Mariachi Plaza, MacArthur Park, the African American Firefighter Museum, Grand Park, and Chinatown will offer CicLAvia information and merchandise, free water, restrooms, first-aid stations, free bike repair, and bike racks. Little Tokyo will be part of this event, with taiko drummers performing at 2 and 3 p.m. Those planning to drive there on Sunday are warned that some streets will be closed to traffic. Part of the 7.5-mile route goes down First Street from Spring to Central, then down Central to Fourth Street. There will be crossing points for cars at Second and Central and at Fourth and Alameda. For a map and more information, visit www.ciclavia.org.